There is one important difference for this feature in Google Apps compared to regular Gmail: domain administrators will have the option to control the availability of the feature through a new setting in the Admin console. If you’re an administrator, you should know it will be available under Google Apps, Gmail Settings, and then End User Settings. By default, Google tells TNW the feature will be turned off. 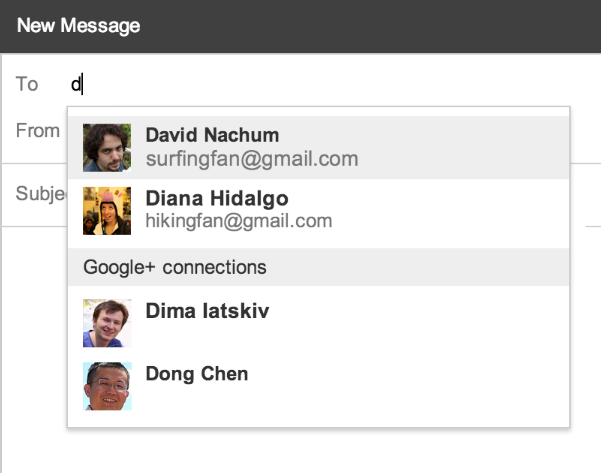 The good news is that your email address isn’t visible to a Google+ connection unless you send a reply email. The reverse is also true: his or her email address isn’t visible to you unless he or she replies to your email. Google says the default setting for Google Apps users will be “Anyone on Google+,” which as we’ve noted before, is quite unfortunate. We believe the default for this feature should be opt-in not opt-out, but at least in the case of Google Apps, administrators have to opt-in first before users have to opt-out. Our quick guide on disabling the feature is linked below.